Queen Victoria's diaries are now online . follow the link above for the 25th Sept 1875 entry. The handwriting in the Journal is that of the Queen’s youngest daughter, Princess Beatrice, who on her mother’s instructions copied out the Journal after the Queen’s death, destroying the originals. Queen Victoria's diary entry for her excursion past the townships to Furnace and back along the shore road. A pouring morning. Breakfast as usual with my two dear children—dear Louise so kind and attentive, so anxious I and all my people should be comfortable, thinking of everything. It cleared, and at half-past eleven I walked out with Louise (Beatrice walked with Jane Churchill and the girls) to the kennel, along the River Aray, which had risen a great deal since Thursday, when it was as low as possible. We went to the kennel and saw the dogs and the eagle ; from here we went to the kitchen-garden, which is large. There are very fine peaches and a wonderful old laurel and thuja, which have spread to an immense size. Home at twenty minutes to one. Luncheon as before. Louise introduced me to a good old lady, a Miss McGibbon, who was too ill to come out and see me ; she patted Louise on the shoulder and said, " We are all so fond of the Princess ; she is a great pet." Louise said, "Lorne was her great pet ; "and she answered, " Yes ; he is, and so you are a double pet." 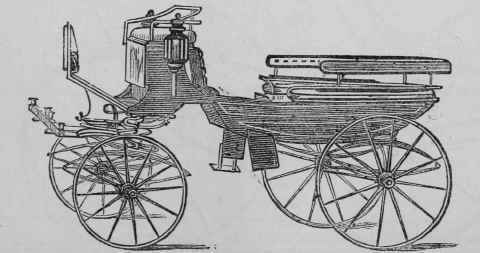 At ten minutes past four drove out with Louise, Beatrice, and the Duke in the waggonette, and took a charming drive, the afternoon being very fine and bright. We went out the same way we had been on Wednesday, and once or twice besides, along the avenue called Ballackanooran, by the deer park (a great many gates having to be opened, as they must be kept locked to prevent the deer getting out), and struck into the Lochgilphead Road beyond Cromalt. In the Highlands of Scotland up to a comparatively recent date the old system of village communities prevailed as the common system of land tenure. Under this system the cultivators were collected into groups or villages, the cottages being all built close together on some one spot of the farm. The farm itself was divided into pasture land and arable land. The pasture land was held in common by all the families, and the arable land was divided by lot every year, so that each family might get its turn or its chance of the better and the worse qualities of soil. This very rude system is quite incompatible with any improved culture, but is an extremely ancient one. Sir Henry Maine has lately published a very interesting little book on the subject, showing that it once prevailed all over Europe, and does still actually prevail over the greater part of India. to each tenant, so that he could cultivate on an improved system. But the village remains as it was, and is one of the comparatively few of that class which now remain in the Highlands. - (signed) Argyll. They are said to be the only two villages of the kind in existence in the Highlands. The inhabitants are very exclusive, and hardly ever marry out of their own villages. We went on between curious, rather low, grass hills on either side, some higher than others, and several of which have small lochs at the tops with excellent trout, as the Duke told us. He showed us some farms and other glens, and had something to say about each place. We next turned to the left, where we got into oak woods, passing some powder mills belonging to Sir G. Campbell, and near Inveraray is one of a small village called Cumlodden, or rather a row of huts in which the people employed at the mills live, and from here turned to the village of Furnace, inhabited by the men who work the Duke's great quarries close to the sea, and which is so called from a number of furnaces which were used in the last century for smelting down lead brought from England. The Duke showed us one remaining, though in ruins, and we passed a quarry. The drive went by the shore of Loch Fyne, much reminding me of the drive along Loch Ell beyond Banavie, between trees on either side, oak, ash, beech, etc., with much underwood, hazel, bramble, etc., and we stopped at a point called Pennymore, where there is a small battery where Lorne's volunteers practise; and here the view, looking down the loch towards the sea and the Kyles of Bute with finely-shaped hills, was very beautiful. The more distant hills were those above Ardrishaig, I tried to sketch here after we had taken our tea. We went along by Kenmore, Kilbryde, and Dalchenna (again), and it was a lovely evening, with such soft tints on the distant hills, and the town in front backed by trees. I took another sketch (only very slight, in pencil) of this view from the Duchess's new school-house, called Creggans School. We got home by half-past six. Besides our two daughters and the Duke and Duchess, Lady Dufferin and Colin Campbell dined with me. Went as usual into the drawing-room for a little while, and then upstairs to my room. Beatrice remained with Jane and me.